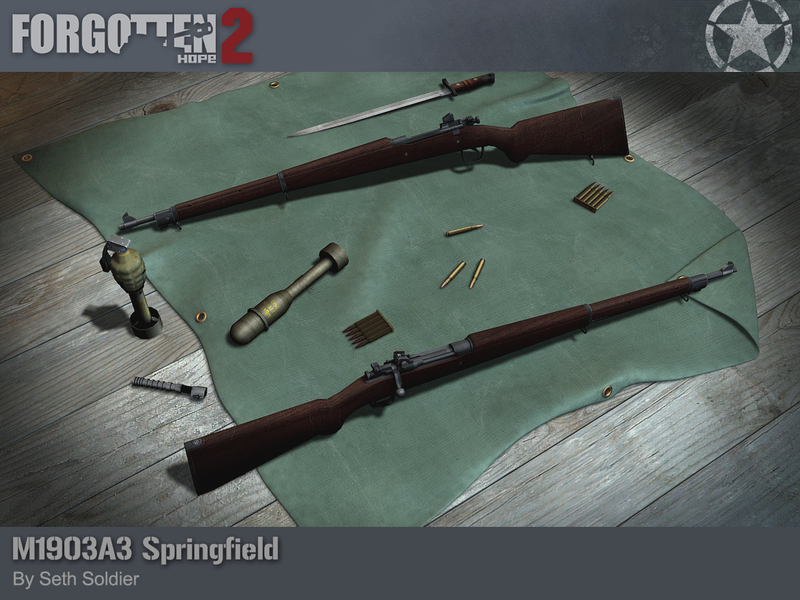 We'd like to thank all of our fans for voting for us in the second round of this year's ModDB Mod of the Year! Once again, we have managed to get enough votes to earn an honourable mention in the Player's Choice - quite the feat for a mod that has been released for 11 years now. The G series of the Messerschmitt BF 109 fighters was largely identical to the preceding F series, with most of the changes happening inside. Small incremental changes such as heavier reinforcing of the wing structure and additional cooling scoops for the spark plugs were intended to update the F-4 frame to take the new more powerful DB 605A engine, which increased the available horsepower by over 100 to 1445hp. 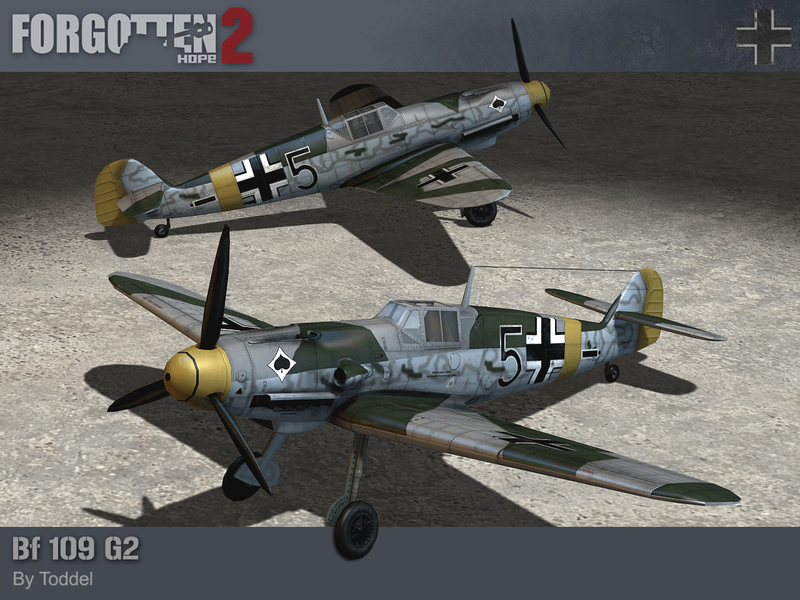 Produced starting in early 1942, the G series would go on to be the most numerous of the BF 109s. The Finns bought 162 of the G series starting in 1943, with the first batch arriving in March. 48 of these were the G-2 variant. The Finns had great success with their Messerschmitts, scoring 667 victories for 34 losses in the air. After the war, they would continue in service with the Finish Airforce until 1954. 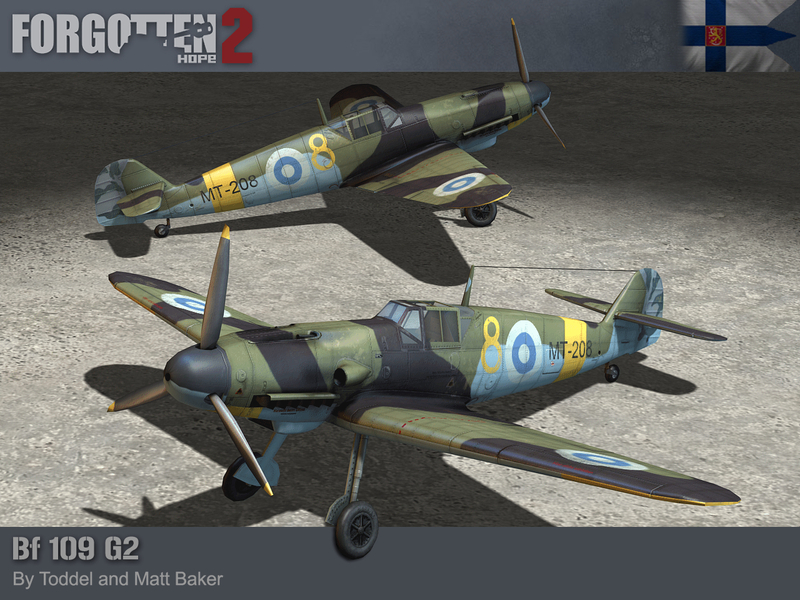 Our BF 109G-2 was originally made by Toddel, with Finnish markings added by Matt Baker. We'd like to wish everyone a very merry Christmas, and what could be a better present than another StuG? We'd also like to thank everyone who voted for us in the ModDB top 100 mods of the year, and we are looking forward to finding out the results! In the spring of 1943, the Finnish Armed Forces made a request to Germany about acquiring assault guns. With a positive response, an initial order for 45 was placed, though ultimately only 30 of these would be delivered and paid for. At the same time, training was provided to a small group of Finnish officers and men in Germany, and at their request the order was expanded to include all the support vehicles that would normally equip a German StuG battalion. On arrival in Finland, the Schürzen and mounts were removed, a wooden tool crate was fitted to the rear deck and spare roadwheel mounts added to the side of the superstructure. The gunshield on the roof was modified to take a DT instead of an MG34, and three tone camouflage was painted over the original dunkelgelb. There were other changes made later, including additional side armour, improved armour for the driver's vision slit and concrete added to the front of the superstructure. The most obvious of these changes was the addition of logs to the sides above the fenders. 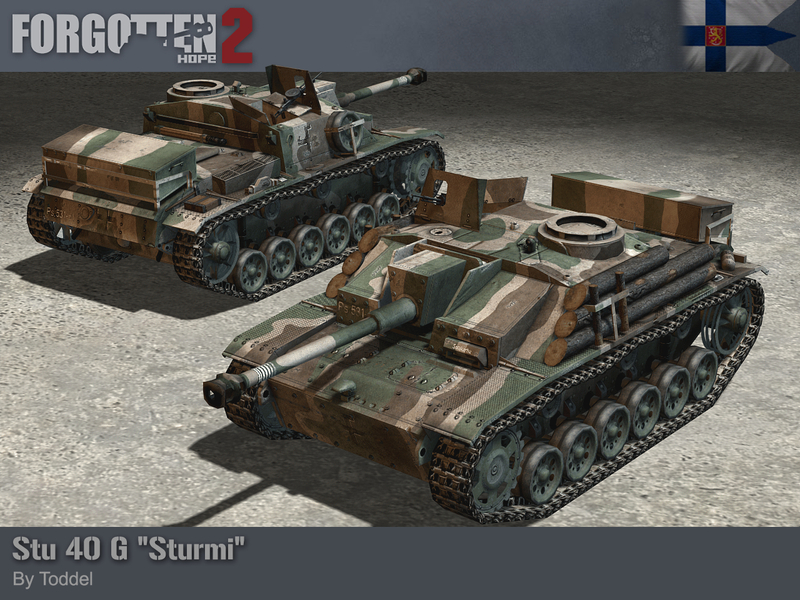 Known to the Finns as the Stu 40 G, they would quickly pick up the nickname Sturmi. While the Sturmis were on the front line from the summer of 1943 onwards, they would face their biggest tests at the battles at Kuuterselkä, Tali and Vuosalmi in the midsummer of 1944. Across these three engagements, they would knock out 87 soviet armoured vehicles for only 8 losses. The StuG was by far the most modern armoured vehicle that the Finns had in 1944, and was well liked by its crews, who found it to have excellent outside visibility combined with a good gun, allowing them to see and to shoot first. Perhaps their main complaint was the underpowered engine and narrow tracks limiting its performance off-road. A further 29 vehicles were delivered that summer before the Finnish capitulation in September, but these would see little service during the Continuation War. Finland still had 45 Stu 40 Gs when they were declared obsolete in 1959, and many of these would go on to be dug in as pillboxes. Our Sturmi was made by Toddel. It's that time of year again, and we are so grateful that once again you voted enough to get us into the top 100 mods! We'd be very grateful if you decide to vote for us again, and while you can't win a second time, we might just make it to an honourable mention. Amongst the multitude of Soviet tanks captured by the Finns were two ISU-152s, both of which were captured around the Portinhoikka crossroads during the battle of Tali. Tank number 1212 was found stranded at the side of the road with battle damage and a thrown track, but still with a crew and a working gun. After a short fight it was captured, however it would serve out the remainder of the war at a repair centre. It served as a heavy recovery vehicle with the Finnish Army until 1964, when it was transferred to the Parola Tank Museum. The other vehicle was captured completely intact, and was almost immediately pressed into service. Over the next four days it was painted with Finnish camouflage and markings, went through some evaluations and testing and then finally was used in a counterattack. With a hastily assembled crew who had no real experience operating such a heavy beast, it was hit several times by two dug in T-34-85s. The crew bailed out and the ISU burned. With their limited experience using the vehicle, the Finns praised it for its hard hitting gun and strong armour, but they disliked how blind, clumsy and slow to aim and fire it was. 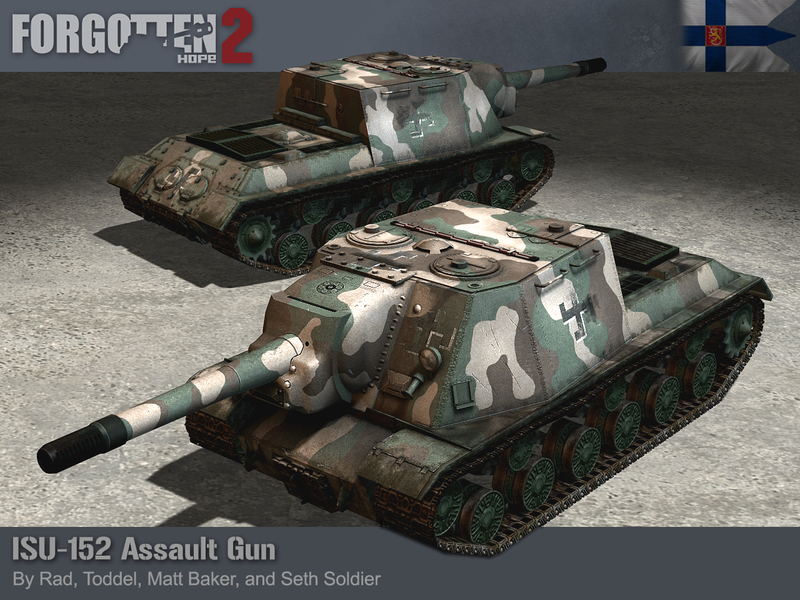 Seth Soldier modified our original ISU-152, which was made by himself, Rad, Toddel and Matt Baker.